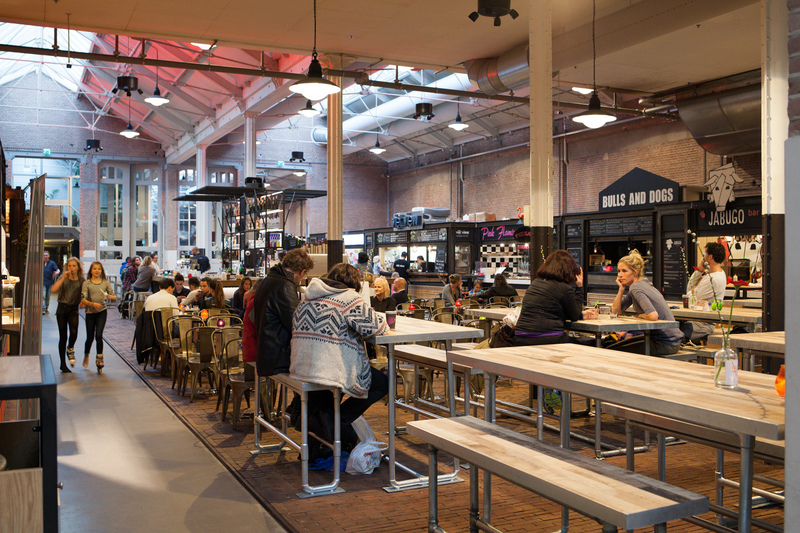 De Foodhallen is a modern, slightly posh indoor food court, optimistically claimed to resemble old famous food markets abroad. 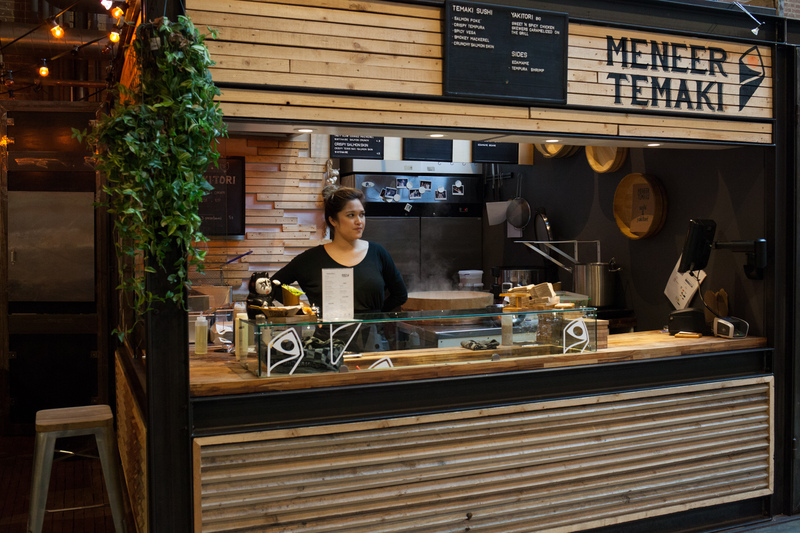 It features around twenty food stalls, some of which have vegan options. Order your food at a stall and sit down on one of the many tables. 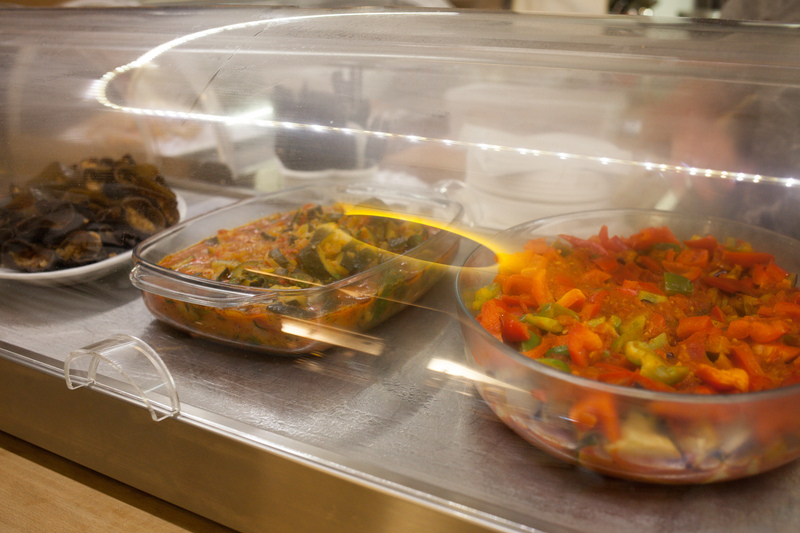 Below we highlight the food stalls which have vegan options. 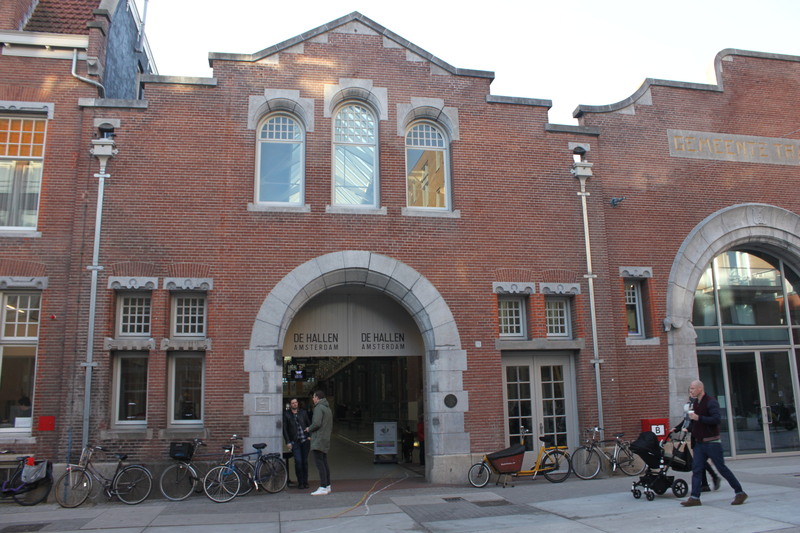 De Foodhallen is part of the larger De Hallen complex, featuring various restaurants, shops, a cinema and an annex of the local library. Some food stalls in this overview are disappearing, these are the new additions. For an overview of the current stalls please see here. 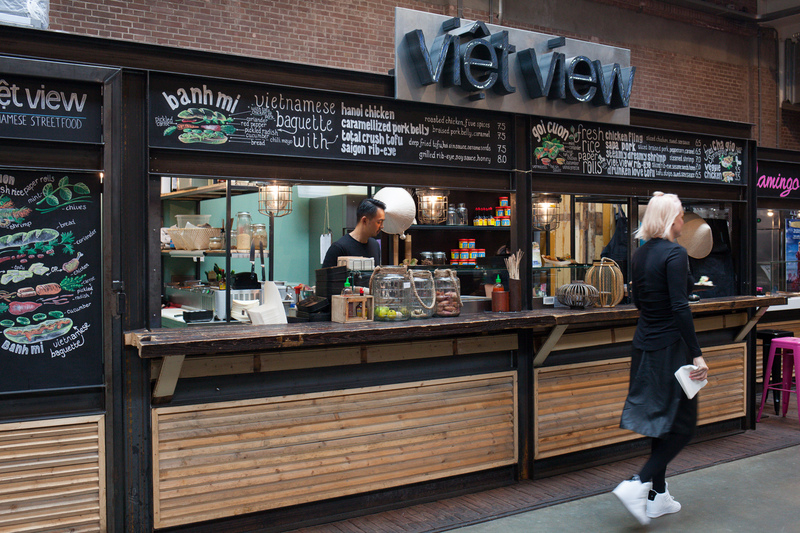 Viet View is a stall serving Vietnamese streetfood. 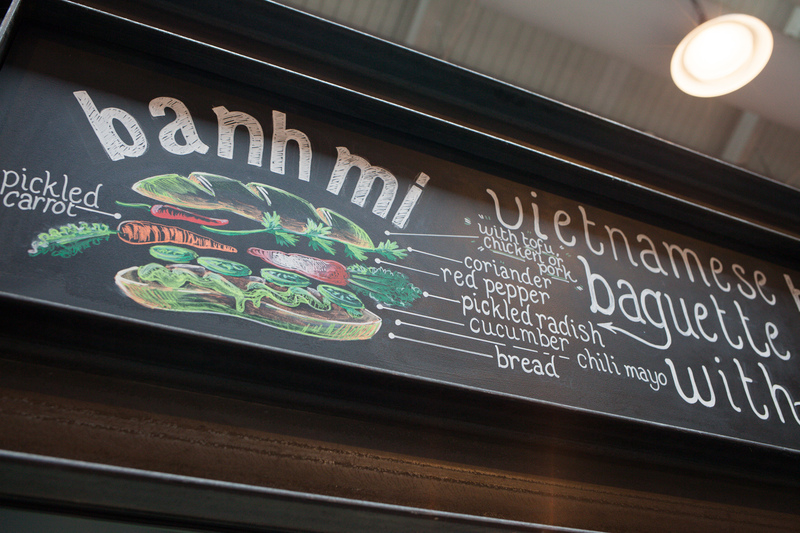 They have three items on the menu which can be made vegan: the bahn mi roll (ask without chili mayo), rice paper roll and fried spring roll. 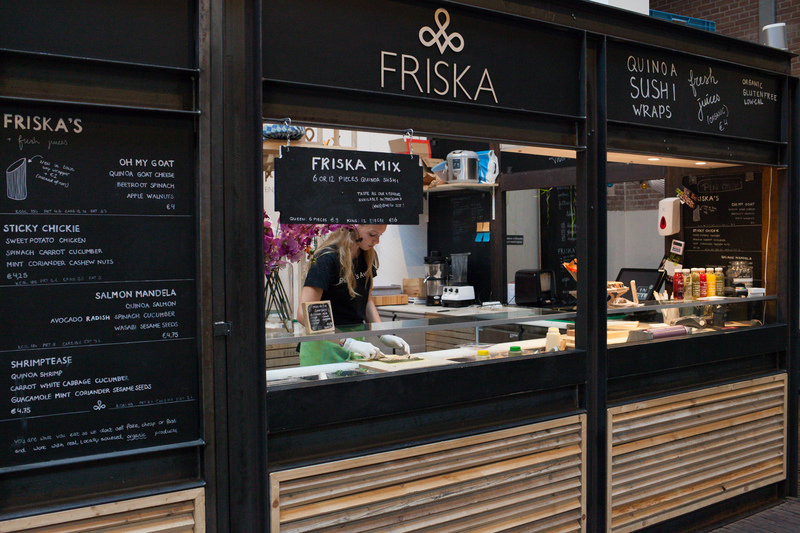 Friska specialises in ‘healthy sushi wraps’. Instead of rice they use for example quinoa. 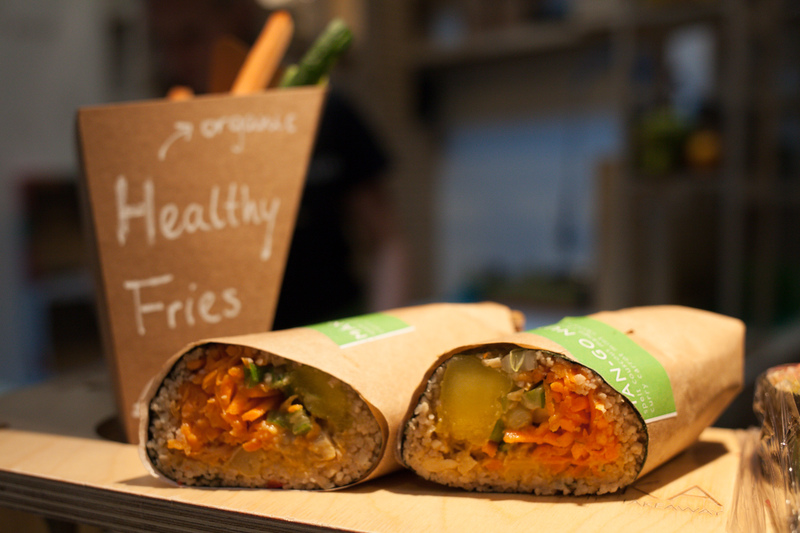 The wrap called Man-Go-Nuts is vegan and is made with couscous, mango and chickpeas. 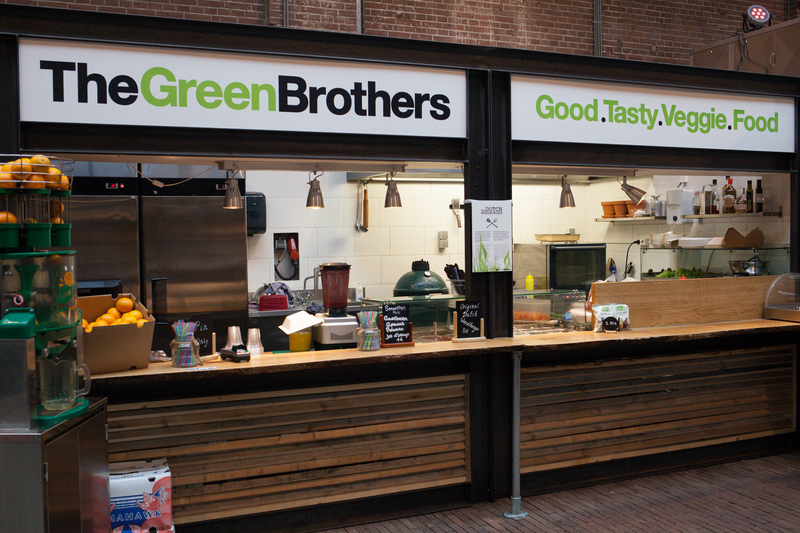 Green Brothers is one of the few vegetarian food stalls at the Foodhallen. 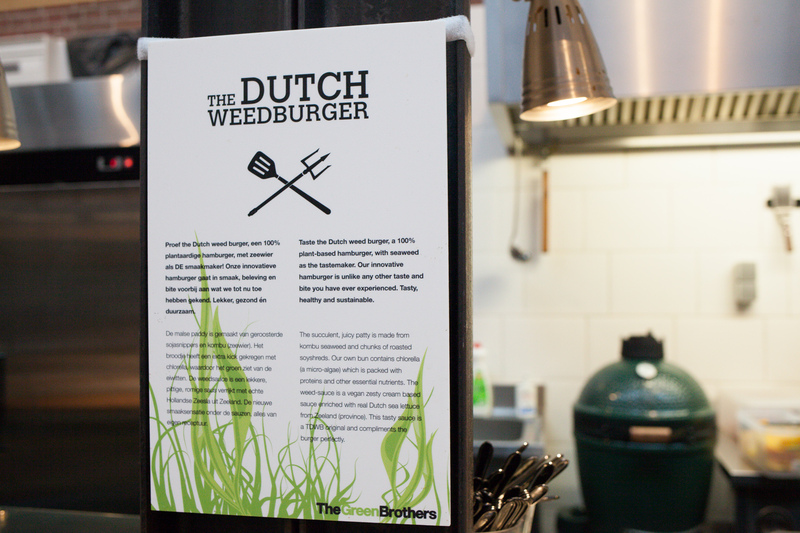 They serve the famous (and recommended) vegan Dutch Weed Burger. Other vegan options include a salade (if you leave out the cheese) and a flatbread topped with avocado. 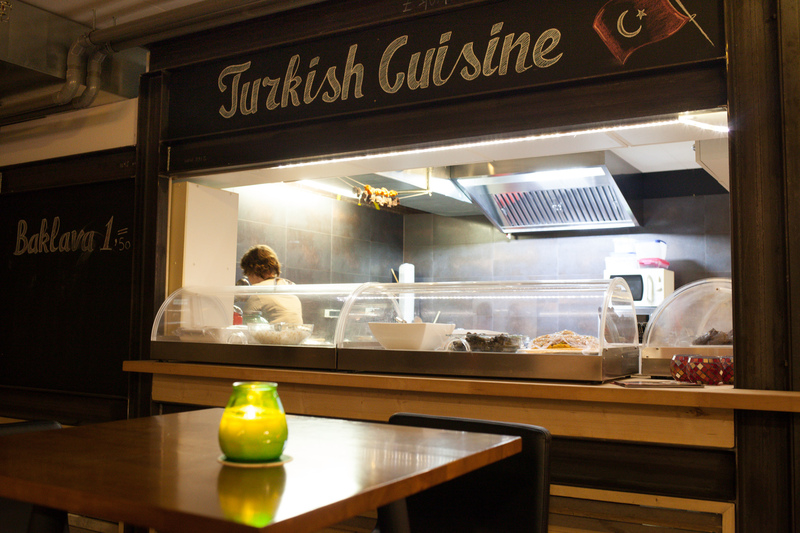 Turkish specialities is what’s on the menu at Filiz Manti. 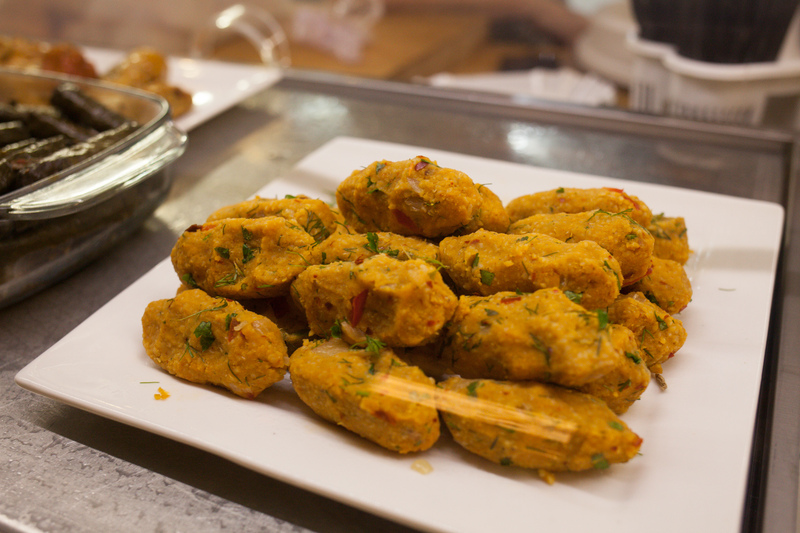 Vegan options include dolmas, red lentil köfte, stuffed sundried eggplant and grilled vegetables. 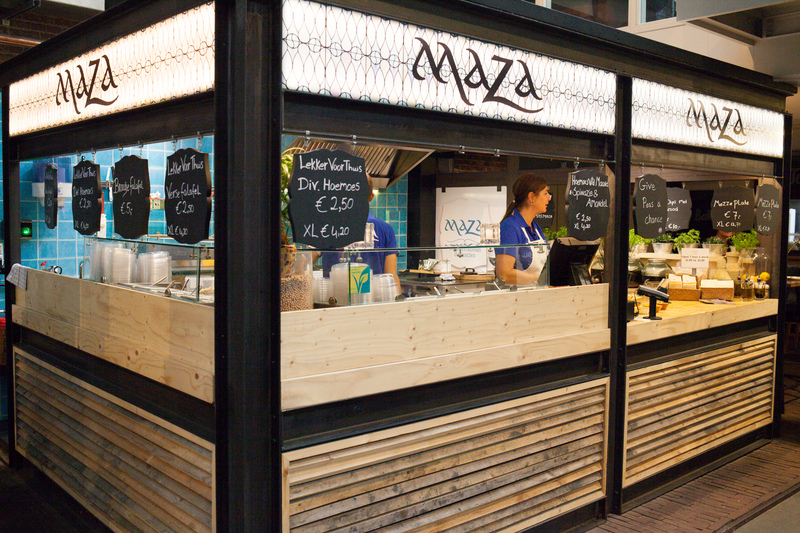 Maza is mostly known as a brand selling hummus and the like to be found in supermarkets. 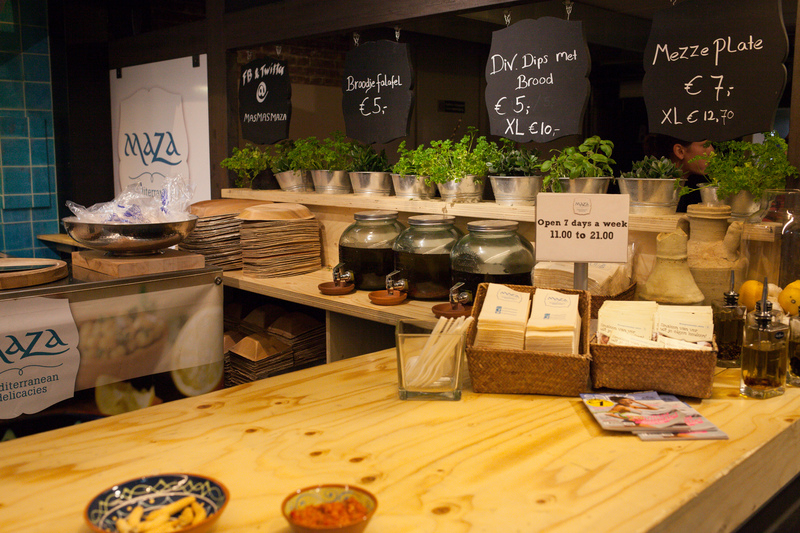 At this stall they offer a range of entirely vegetarian mezze, some of which are vegan, like hummus and falafel. 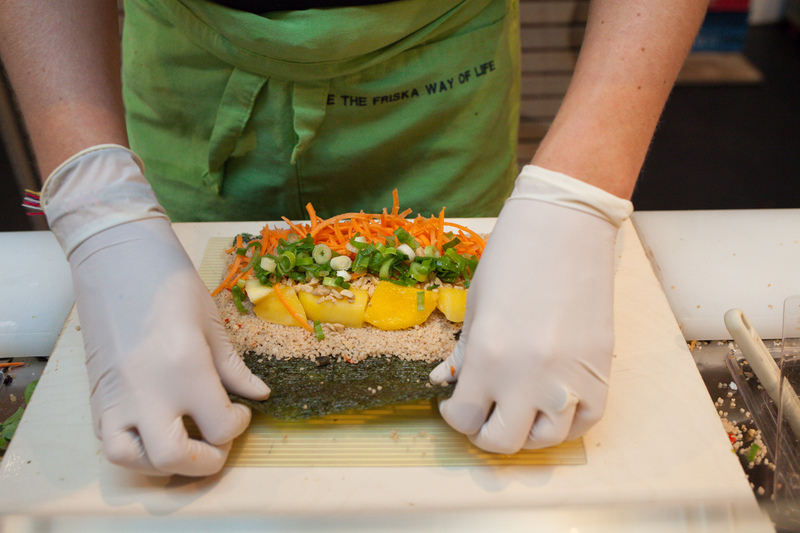 Meneer Temaki specialises in cone shaped sushi rolls. 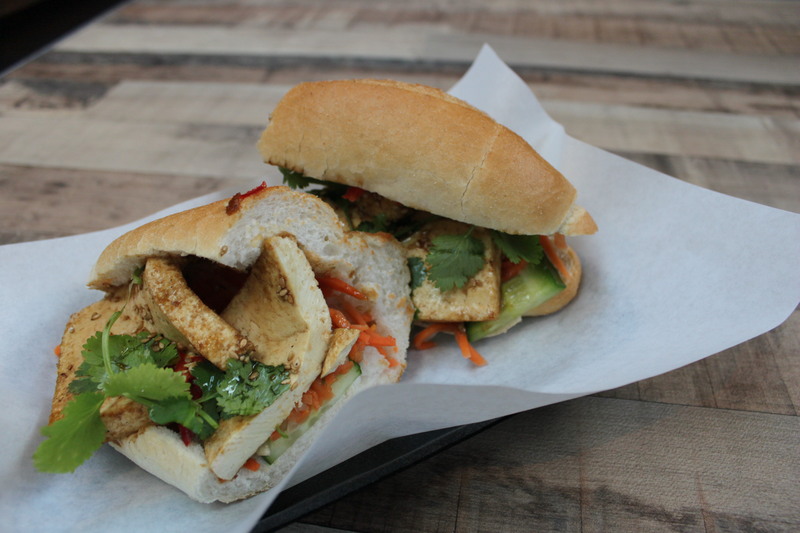 The ‘Spicy Vega’ is vegan, containing daikon, avocado, carrot, cucumber and chili. Unfortunately it seems like the info is a little bit outdated. We just came here and it was quite hard to get vegan food. The Green Brothers and Filiz Manti are not here anymore. Some other vegetarian stand is here but their food is not vegan.